The philosophy of the Bleasdale winemaking team is to capture the essence of what makes Langhorne Creek red wines so attractive – vibrancy, harmony and texture. Cabernet Sauvignon has elegance and captivating depth of flavour, Shiraz is a ripe fruit style with refined cool climate spice elements and Malbec is perfumed and finely structured. 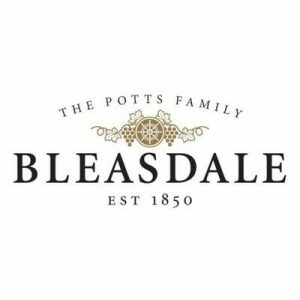 Bleasdale is rich in history and producing some of Australia’s most exciting, consistently impressive premium wines. Whether a Bleasdale wine is $12 or $70, whether it is a Sparkling Shiraz, a single vineyard Malbec or the Frank Potts Cabernet, it conveys a story in the glass that substantiates its history, diversity and increasingly, its pedigree.